India’s bio-fuel policy has traditionally concentrated on ethanol from sugarcane molasses and biodiesel from Jatropha. But the production of both has fallen repeatedly short of the desired quantities. A major portion of India’s energy requirement is met through import of crude oil and its derivates. In the transportation sector, petrol and diesel from crude oil meet about 95% of the demand for fuel. However, the price and supply of crude oil vary widely in response to political and other developments in oil exporting countries. Hence there has been a need to produce indigenously alternative, renewable bio-fuels which can supplement these petroleum based fuels and improve the country’s energy security. 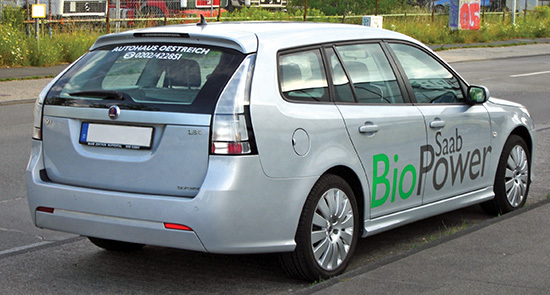 The bio-fuels considered for this have been chiefly ethanol and biodiesel, with some research also being done on algal bio-fuel. In India, the chief source of bio-ethanol, or ethanol from renewable sources, has been sugarcane due to its abundant availability. Addition of ethanol to petrol oxygenates the fuel mixture and helps the mixture to burn completely, thereby reducing polluting emissions. It is quite low in toxicity but high in octane value due to which, it eliminates the need of addition of lead to petrol to improve its anti knock properties. 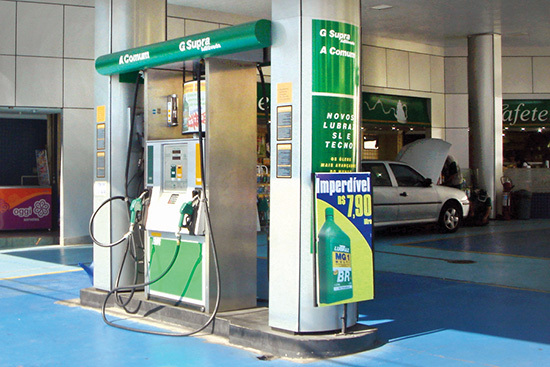 In 2003, the Indian Government’s Ethanol Blended Petrol Programme (EBPP) was launched in nine states and five union territories which promoted the use of ethanol for blending with petrol. However the results were not too encouraging. The period 2005-13 saw wide fluctuations in the production of sugarcane due to the monsoon, and consequently molasses, leading to erratic production of bioethanol. Due to this, the 5% blending of bioethanol with petrol, made mandatory under the National Bio-fuel Policy in 2008, has not been achieved till date. In fact, as of 2013 the EBP was implemented in 13 states with a blending level of only about 2%. Besides molasses production volatility, other factors responsible for the shortfall in ethanol were the disqualification of domestic ethanol suppliers due to quality issues, diversion of ethanol to other sectors such as the potable and industrial alcohol which offered them better prices, non-finalisation of a pricing formula for ethanol and procedural delays in various states. Thus the programme to produce enough ethanol from sugarcane molasses for achieving even the 5% blending to be viable faces many obstacles. First, the area under sugarcane cultivation needs to be expanded on a major scale. According to the Indian Chemical Council even for 5% blending of ethanol, there would be a deficit of 2040 million litres by 2014-15. It would need more than doubling the area under sugarcane production to meet the 5% target, a difficult proposal, since it needs fertile land and a large quantity of water to grow. It may also affect the prices of sugarcane, which is already subject to wide fluctuations depending on the production and supply. This also runs contrary to the bio-fuel policy of growing bio-fuel plants on degraded, infertile and wastelands, and in a way that does not conflict with the production of food related plants and crops. Thus there are several problems in trying to meet the goal of producing enough bioethanol for blending of petrol through exclusive dependence on sugarcane. G Basavaraj and others of Andhra Pradesh based International Crops Research Institute for the Semi-Arid Tropics (ICRISAT), in their paper, “Review of the National Bio-fuel Policy in India: A critique of the Need to Promote Alternative Feedstocks” propose that sweet sorghum could be a viable alternative or could serve at least as an additional source for the production of bioethanol due to many of its favourable qualities. Sweet sorghum does not encroach upon the cultivation of food crops or animal feed cultivation. It also uses comparatively lesser quantities of water, electricity and fertilizers – about one third of that used by sugarcane. The crop duration is also shorter – about four months compared to about 8-12 months for sugarcane. It has an ethanol productivity of about 4000 tonnes per hectare compared to 850 tonnes for sugarcane molasses. ICRISAT field surveys conducted in Andhra Pradesh in 2008 showed the subsidy required for sweet sorghum was `1948 compared to `6691 per hectare for sugarcane. The paper suggests prioritization of alternative feedstocks other than sugarcane, such as sweet sorghum, for the production of ethanol. A small subsidy could be provided in the initial years for the production of sweet sorghum or other feedstocks. Measures to encourage the demand side of bio-fuels such as promotion of hybrid vehicles using higher percentage blends of ethanol, as is being done in Brazil, reducing registration fees and road tax exemptions for vehicles running on bio-fuels could be implemented. The other bio-fuel of interest for the country is Jatropha, used for blending with regular diesel. There are many advantages of using Jatropha as a source of bio-diesel. The oil yield per hectare for Jatropha is among the highest for tree-borne oil seeds, going up to 12 tonne / acre, with the seeds giving oil yields up to 50%. The average figures are 3.75 tonnes / hectare and an oil yield of 30-35%. The plant can be grown in areas of low rainfall on relatively unfertile, marginal, degraded, fallow and waste lands, in arid areas and even alkaline soils. It is easily established in nurseries, grows relatively quickly and is quite resistant to diseases. The seeds are ready before the monsoon and can be therefore plucked easily, with the seed cake also serving as good source of nutrients for plants. In 2005, the Ministry of Petroleum and Natural Gas formulated a biodiesel policy in which OMCs would install trans-esterification plants and purchase biodiesel across 20 procurement centres across the country to blend with high speed diesel. But the cost of production of biodiesel turned out to be 20-50% higher than the purchase price and there was no sale of biodiesel. In addition, there has been a lack of large scale plantation of Jatropha. By 2010, Jatropha was cultivated over an estimated 0.5 million hectares, out of which two third population were new plantations, taking more than three years to mature. Further, the biodiesel thus obtained was enough to only meet 0.01 percent of the total biodiesel required for 5% blending. Thus the production of biodiesel from Jatropha has remained commercially insignificant. According to reports by the Ministry of Petroleum and Natural Gas, no biodiesel has been procured by oil marketing companies for blending with diesel in the last three to four years. There have been many reasons for this. According to a study report by the Delhi based National Centre for Agricultural Economics and Policy Research, the strains of Jatropha used have been low yielding ones while the long gestation period of the plant, 3-6 years, have acted a disincentive for farmers, who also have feared that the diversion of land to Jatropha will result in loss of grazing areas and create fodder scarcity. Other reports point out how in Andhra Pradesh and Tamil Nadu, unconvinced about the viability of Jatropha plantations, farmers either diverted a bulk of the subsidy for Jatropha to other crops, or refused to take the free seedlings offered. Biodiesel Association of India (BDAI) is a non-profit national association representing about 80 companies in the country such as IOCL, HPCL, Reliance Industries Ltd, BPCL, Ruchi, Emami Biotech Ltd and Universal Biodiesels. It comprises farmers/cultivator societies, national feedstock and feedstock processor organizations, biodiesel suppliers, fuel marketers and distributors, and technology providers.